Here in the Southwest Florida area, hurricane protection and awareness can be imperative in safeguarding your home or business. Our experienced and trained technicians can upgrade your windows to protect against the damage of debilitating hurricanes. These new windows and doors will meet the energy code requirements. The Lemon Bay Glass team uses quality window replacement products to ensure you receive the highest quality product and service with every job. Your home is one of the most important investments in your life. 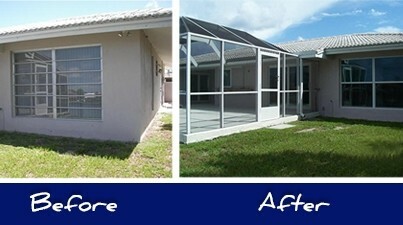 Let Lemon Bay Glass enhance the comfort, value, and aesthetics of your living space. They will complete the job quickly and cost-effectively! One of the single best ways to improve the appearance and increase the value of your home is by replacing the windows and doors. So why wait. Costs for replacement and impact windows are surprisingly reasonable. Install our hurricane impact windows and obtain 24-hour hurricane protection, avoiding the hassle of putting up and taking down storm panels. As a result impact windows and doors not only provide hurricane protection, but also protect you and your family against burglaries. Hurricane windows are built with a strong interlayer sealed in between two layers of glass which makes break-ins almost impossible. Impact windows and doors are effective windstorm protective systems recognized by insurance companies. If all of the house openings are protected with these types of windows or doors, policyholders can possibly obtain up to 45% in premium discounts. This will reflect on reducing the effective price or cost of installing the windows. Another bonus is that hurricane impact windows and doors help reduce outdoor noise significantly. For homeowners who live near busy intersections, highways or heavy traffic, installing hurricane impact windows and doors has proven to be an effective noise solution. Drop your utility bills and realize important electrical savings by installing Impact windows and doors. Further more this will be especially effective if you have older Florida style awning windows. Hurricane windows and doors are built of a heavy-duty aluminum frame. They have double glazing panes which make the windows more energy efficient. Hurricane windows and doors provide 99% blockage of ultraviolet (U-V) light, protecting your valuable interiors. This includes your favorite photographs, loveseat, Persian rug and even your flooring, from fading or discoloring after repeated exposure to direct sunlight. Above all this characteristic is particularly important for us in Florida where we can enjoy the direct sunshine all year round. Our products lines of high impact windows act like sunscreen for your home. These windows and doors block the damaging U-V without noticeably reducing visible light. Hurricane windows and doors improve the value of your home. 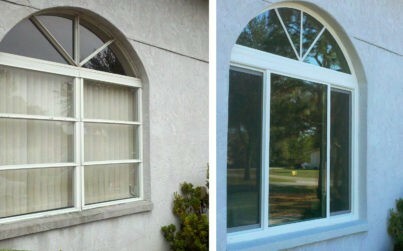 New windows improve the curbside appeal of any residence making it easier to sell when the time comes. After saving money on your energy bills and insurance, you can recover the entire cost of the upgrade after you sell the home, making Impact windows and doors a great long-term investment.